Water is an extremely important part of your daily. How could it not be? It makes up 60% of our body! The majority of our blood cells are made up of water, which is why we need it to live and ensure that our bodies are functioning properly. No single formula fits everyone. But knowing more about your body's need for H2O will help you estimate how much water to drink each day. The amount of water intake per person varies, but according to The National Academies of Sciences, Engineering, and Medicine it’s determined that an adequate daily fluid intake is about 15.5 cups (3.7 liters) of fluid for men, and about 11.5 cups (2.7 liters) of fluid for women. Understanding how vital water is to our health is the easy part. The struggle lies in actually following through with drinking enough water daily. Here are two of my biggest recommendations for anyone struggling with upping their H2O. 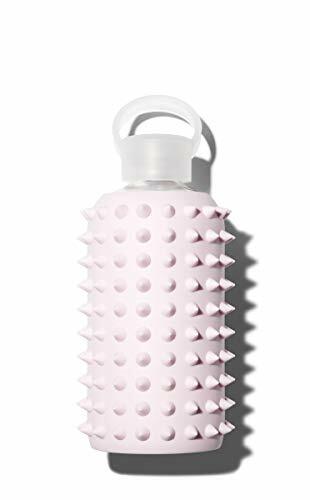 I’ve noticed that I’m able to stay on top of my daily water routine when I’m using a water bottle that I love lugging around with me. I always opt for either glass or stainless steel water bottles because they do not leach chemicals when exposed to sun and/or heat. Using a high quality water bottle and knowing how many ounces or liters that bottle contains makes it so much easier to track throughout the day! It makes your water intake more measurable to just remember how many times you need to refill throughout the day. The Hydroflask is by far my absolute favorite water bottle. It comes in a variety of sizes and colors, and accessories that allows you to switch the mouth piece from sip to straw. The Hydroflask keeps liquids cold or hot for up to 24 hours making it one of the most durable and versatile bottles on the market. The S’well bottle comes in at a close second to the Hydroflask for me. 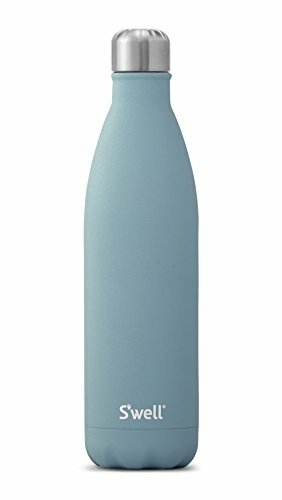 S’well has a very elegant design and comes with a vacuum insulated twist on top. The S’well bottle allows for the same cold/hot for 24 hours function but does not have interchangeable caps. Bkr water bottles are the hottest glass water bottles on the market. They come with a variety of styles and colors of silicone sleeves which allows you to hit your water goals in style! I get it… drinking tasteless water can be so mundane. Don’t let that stop you! Just add some flavor- Fresh fruits and herbs are a wonderful addition to water to make it less boring, and increase your benefits. Infusing water is easy as 1,2,3. Whatever inspires you to drink more water, just do it! Your skin, body, & life will love you for it.